We at Super Sure Services provide our clients with custom painting solutions for their space according to their taste. Painting/re-painting your homes is like giving your premises a facelift & there can be no room for errors. Our experience, tricks of the trade, techniques and efficient painting contractors will get you quality results. We at super sure services have designed a painting module that aims to befit your homes, offices optimally. We believe that we a have service that can cater to the needs of individuals who wish to paint/re-paint their homes. 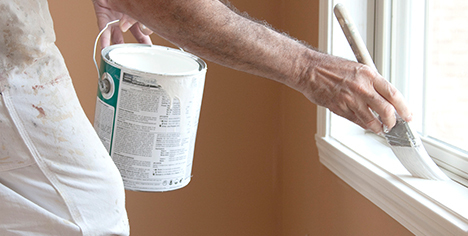 We know what a big decision it is â€” thatâ€™s why our representatives take time prior to each interior home painting project to sit down with the home owner and understand their vision & requirement. We believe that we are NOT just in the business of painting but more so in creating a smooth painting experience for our clients. Residential - Our experience, tricks of the trade, techniques & efficient painting contractors wil transform your home! Commercial - Our commercial painting services in India are big time-savers, un-intrusive and dustless ! Transform your house into a HOME!! Talk to us for all kinds of painting / contracting job for home, societies, offices, industrial areas etc.